The sense of an ending -Movie review !! 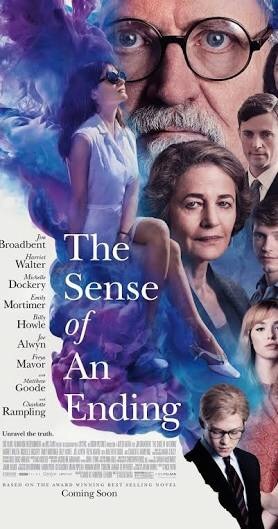 “The sense of an ending “a film directed by Ritesh Batra, Is based on the novel by the same name written by Julian Barnes. It’s about a business owner reuniting with his first love, after a letter and Diary force him to confront the past. And after watching this film,You just realise one thing ,every filmmaker has a particular style which is unconsciously evident with this flick right from the relationship with an older and younger age character, to the story being about the material used to tell it. While lunchbox was about the story moving forward through the letter being written to each other, To ” sense of an ending” is about the protagonist being in the lookout of a Diary that has some important revelations. The film was slightly slow in the way the story was narrated,But the parallel story telling of the narration and what actually happened was an effective way of telling the story. A form of storytelling that makes you want to tell stories as you are living those moments in the present. To conclude if you loved Lunchbox,This is a must watch for you.